Stay 3 nights, pay only 2 nights. Valid for stays between 29 April and 29 November 2019. Excludes NSW school holidays and public holiday weekends. Subject to availability. Book online. 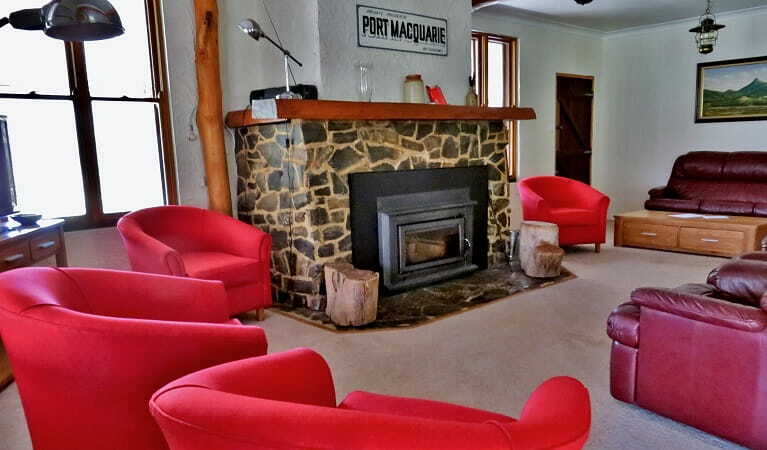 Historic Capertee Homestead, known as 'Port Macquarie', in Capertee National Park, is a great weekend getaway offering birdwatching, mountain biking, 4WD touring and walking. 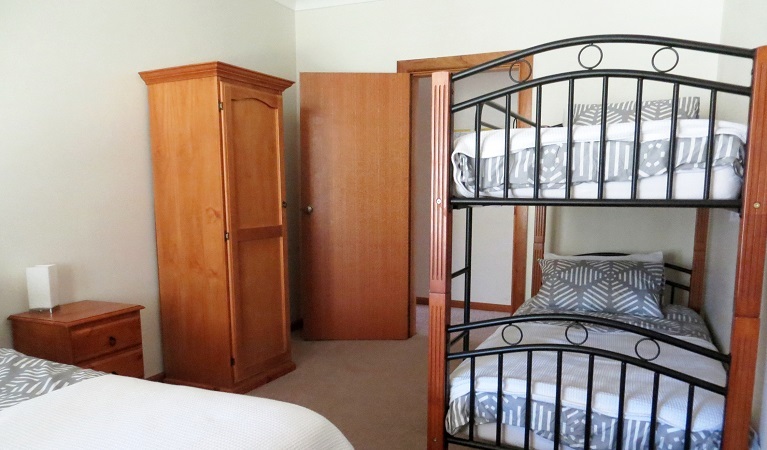 A minimum daily rate applies, which includes the first 2 occupants. Additional fees apply for extra occupants. 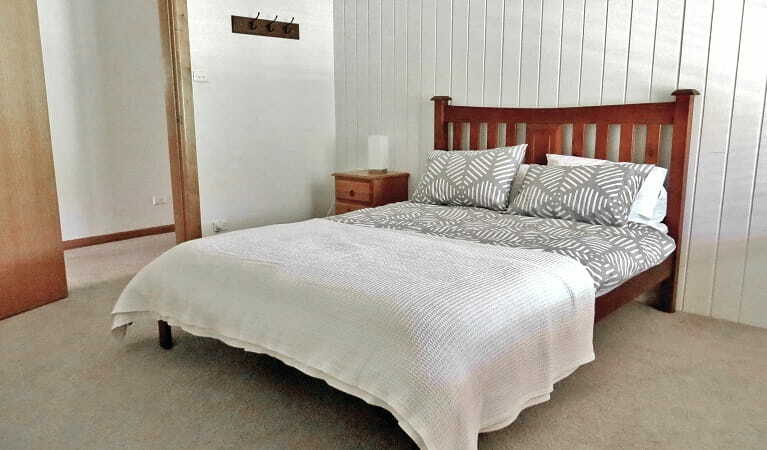 Minimum 2 night stay, bookings must be made at least 1 week in advance. Book online or call the National Parks Contact Centre on 1300 072 757. The homestead is in a remote location, so it’s a good idea to pick up your supplies before you arrive. 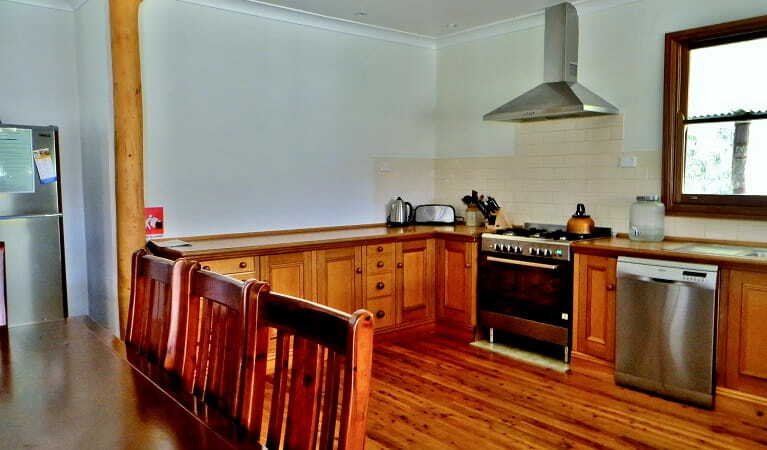 The nearest town is Rylstone, around 45mins drive. Capertee Homestead (named 'Port Macquarie') is an inspiring historic building originally built in the 1920s overlooking the river in Capertee National Park, north of Lithgow. 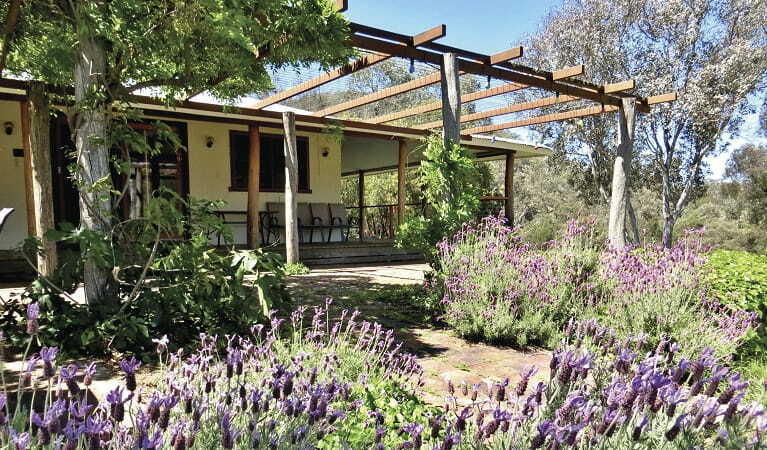 There's plenty of space in Capertee Homestead, with charming country style accommodation for large groups or families who want to experience a unique weekend getaway. Early mornings and dusk are a great time to spot wallabies, wombats and kangaroos. 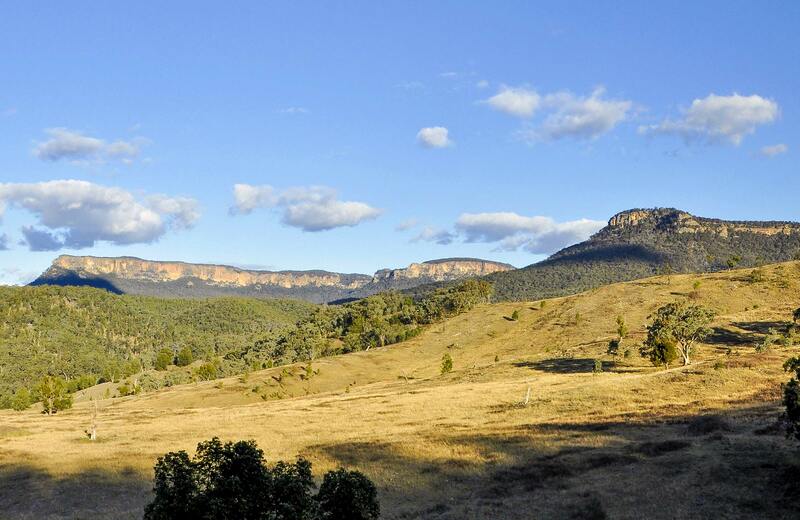 Explore the surrounding bush on a range of walks and enjoy a picnic by the river. When it’s time to cool off, enjoy a refreshing paddle in the shallow waters. 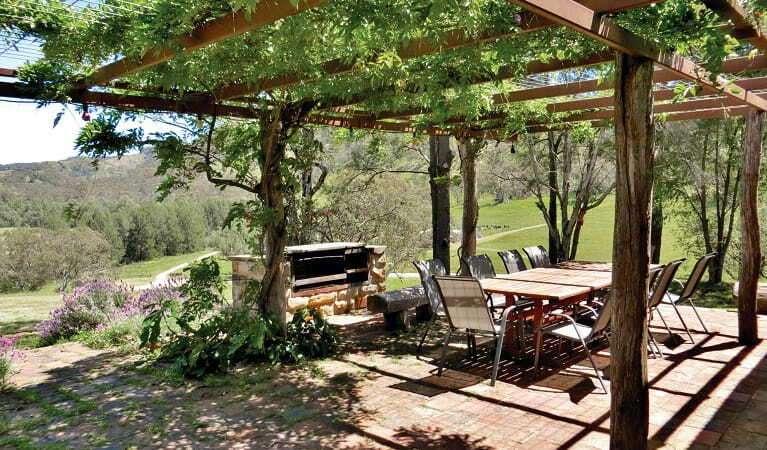 If you want to relax, simply find a shady spot on the wrap-around verandah and enjoy some birdwatching. Gather your family and friends around in the evening and take advantage of your surroundings with a barbecue before heading inside and settling in around the slow combustion fire. Monday to Friday, 9am to 4:30pm. Capertee National Park has a locked entry gate. If you're visiting during the day, get the gate code by calling Mudgee Office (weekdays) or Blue Mountains Heritage Centre (weekends).